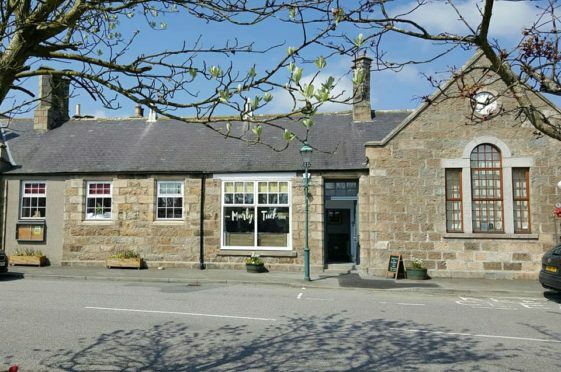 A community cafe is to become a permanent fixture in a north-east village as locals have been given £100,000 to buy the property. The Tarves doctors’ surgery was put up for sale in 2015 and was purchased by a “community business angel” who handed it over to residents for their use. Soon after £50,000 was raised to convert the former Victorian schoolhouse into a meeting venue, office space and cafe, which was later christened The Murly Tuck. Since then, the facility has created the equivalent of 7.5 full time equivalent jobs and worked with other attractions to increase visitor numbers in the Formartine village. And last night it was confirmed the centre will remain open in perpetuity following the award of £100,000 to the Tarves Development Trust to purchase the building and keep it community-owned. The group is one of 10 splitting £1.6 million from the Scottish Land Fund, which is funded by the Scottish Government in partnership with the Big Lottery Fund and Highlands and Islands Enterprise. Land Reform Secretary Roseanna Cunningham said: “This is great news for the residents of Tarves, and the other successful projects, which are fine examples of land and assets coming into community ownership, allowing local people to get the maximum benefit from them. John Watt, The Scottish Land Fund committee chairman, said: “Through these grants the Scottish Land Fund is helping people from all over Scotland to make a difference in both inner city areas and in rural communities. Sandra Holmes, head of community assets at HIE, said: “The awards will bring important assets into community ownership and give them the resources and control they need to deliver exciting projects for the benefit of people living and visiting their areas.